Traditionally, Linux desktop environments have a set of tightly integrated applications, not usually found in others Linux operating systems. Basically, if you’re switching desktops, you’re also switching programs. The Linux Mint community is aiming to change that with the X-Apps project. The release of Linux Mint 18 5 Flavors of Linux Mint 18 You Can Try Today 5 Flavors of Linux Mint 18 You Can Try Today Linux Mint is a distro that has roots in Ubuntu but lots of changes that make it worthwhile. 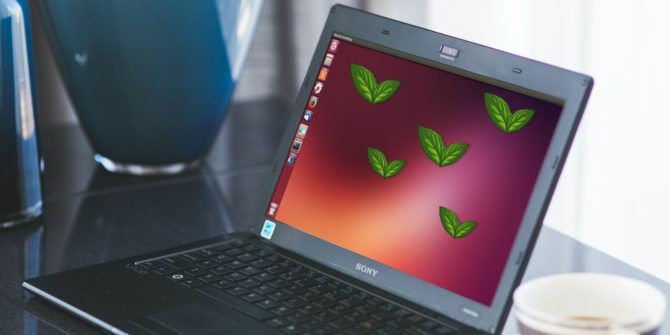 In this article, we explore the five flavors of desktop environment that you can try. Read More introduced the first release of the X-Apps to the community. The project was created as a response to the ever-changing Linux desktop landscape. Applications one day can have a completely different interface the next. 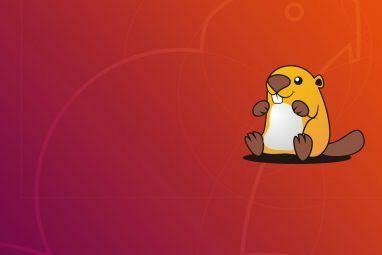 GNOME apps GNOME Explained: A Look at One of Linux's Most Popular Desktops GNOME Explained: A Look at One of Linux's Most Popular Desktops You're interested in Linux, and you've come across "GNOME", an acronym for GNU Network Object Model Environment. GNOME is one of the most popular open source interfaces, but what does that mean? Read More for example, now have a rather unique appearance, with thicker title-bars. Therefore, one of the main goals of X-Apps are to have a consistent and traditional interface. A lot of them will look very familiar to you, and that’s the point. They should feel like slipping in a comfortable pair of jeans, no relearning or adapting required. As they should be. After all, the applications are based off well known programs Open Source Software and Forking: The Good, The Great and The Ugly Open Source Software and Forking: The Good, The Great and The Ugly Sometimes, the end-user benefits greatly from forks. Sometimes, the fork is done under a shroud of anger, hatred and animosity. Let's look at some examples. Read More from other desktop environments, re-tooled to be more desktop agnostic. Another aim of the X-Apps project is that their applications should be usable everywhere. 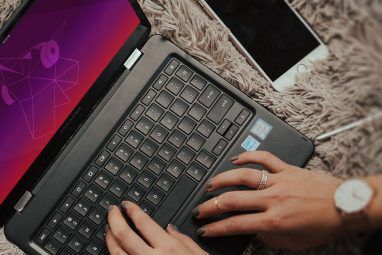 No matter what desktop environment It's Your Choice: The Top 10 Linux Desktop Environments It's Your Choice: The Top 10 Linux Desktop Environments From Gnome to KDE, from MATE to Unity, there's a lot of choice out there. Where should you start? Overwhelmed? Start here. Read More you’re using, they should blend and integrate well with it. Along with this, they don’t depend on a specific desktop to be installed. For example, KMail and Evolution Linux Desktop Email Clients Compared: Thunderbird vs. Evolution vs. KMail vs. Claws Mail Linux Desktop Email Clients Compared: Thunderbird vs. Evolution vs. KMail vs. Claws Mail Read More need some extra KDE and GNOME software respectively to work. Of course, since X-Apps are supposed to look traditional, if you use them with a non-traditional desktop (like, say GNOME), they’ll stick out a little instead. However, this might not be a bad price to pay for consistency. You won’t have to learn how to use a new app for reading documents, for example. X-Apps will look and behave the same way, even as they are constantly updated. Xreader, views PDFs, e-books, other documents. Xplayer, plays video and audio files. Xviewer/Pix, displays and arranges images respectively. If you’re using Linux Mint 18, then you don’t have to do anything — they’re installed by default. The openSUSE Linux operating system 6 Reasons You Should Choose openSUSE and the Geeko 6 Reasons You Should Choose openSUSE and the Geeko There are good reasons openSUSE continues to attract users, and here are some of them. Maybe you will be the next person to fall in love with the Geeko. Read More supplies it in their repositories as well (not installed by default, however). Ubuntu is not so lucky. In future, they’ll probably be added to more repositories, but at this current point in time, that’s not the case. Now you’re just a command line away from installing whichever app you’d like. They’re labelled as their names are — just make sure to keep them in lower-case! While PPAs are technically compatible with Debian, in practice it’s really hit or miss. Instead, you should install the actual DEB packages from Mint. If you’re using the latest version of Debian (Jessie), everything should (emphasis on should) work out fine — the LMDE version of Mint is based off their repositories. However, your mileage may vary! To do this, head over to the Linux Mint packages website. From there, you can download the DEB files for the respective X-Apps. If your system is 64-bit What Is 64-bit Computing? What Is 64-bit Computing? The packaging of a computer or computer hardware is crowded with technical terms and badges. One of the more prominent ones is 64-bit. Read More , take the amd64 versions of the packages. Otherwise, use i386. Once you’ve downloaded them, just open them in your file manager and install them. Keep in mind that this might include extra dependencies as well! For example, the X-Apps depend on a package called xapps-common, among other things. You should be able to check what each one needs in the installer window. If you’d like a more automated method of getting X-Apps on Debian, you could try adding the LMDE repository to your package manager Which Linux Package Manager (and Distro) Is Right for You? Which Linux Package Manager (and Distro) Is Right for You? 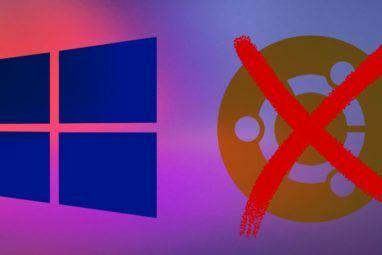 A key difference between the main Linux distros is the package manager; the differences are strong enough that it can influence your choice of distro. Let's look at how the various package managers work. Read More . As a result, you’d be able to install them without manually downloading their dependencies. Again, this should only be attempted if you’re using Debian Jessie! Press Ctrl + X to save and exit. Because the package repository contains more than just X-Apps, I recommend changing its priority, so it doesn’t mess with your other applications. Basically, if you follow these steps, Debian should only draw on the Mint repository if it can’t find the package in its own sources. You should now be able to install the X-Apps of your choice, just like Ubuntu. As stated earlier, these programs weren’t made from the ground up. Instead, they’re based off applications from other desktop environments. All of them are similarly styled, however, and share some code with each other. This means you can expect them all to behave and appear the same: smooth scrolling, the presence of menu-bars, and so on. This program is based off the MATE The Best Lean Linux Desktop Environment: LXDE Vs Xfce Vs MATE The Best Lean Linux Desktop Environment: LXDE Vs Xfce Vs MATE On a fresh Linux installation, there's not much you can do to speed things up, other than look at your choice of desktop environment. Here we look at three options: LXDE, Xfce, and MATE. Read More document viewer, Atril. As such, a lot of the features from it carry over, such as support for e-books 4 of the Best Ebook Readers for Linux Users 4 of the Best Ebook Readers for Linux Users Which Linux eBook readers are the best? Here are four options you should definitely look into. Read More , and session restoration — if you reopen a document, you’ll jump to the page you were reading automatically. Xplayer is based off GNOME’s Totem media player Watch All Your Videos & Music With Totem Movie Player [Linux] Watch All Your Videos & Music With Totem Movie Player [Linux] Everyone likes a good media player, no matter what system they're using. While I still highly recommend VLC media player as one of the best for any system because of its wide range of playable... Read More , but with a much more traditional interface. Recently, the video player’s appearance has changed quite a bit, with the unconventional appearance that pervades many GNOME applications. Xplayer provides people with an alternative to this, with the same features in a more familiar landscape. If you like Totem, but don’t like how it looks, Xplayer is a worth a try. This is based off another GNOME application, and it shows. For the most part, they’re very similar, and apart from the more traditional title bar, you’d be hard-pressed to find any differences between them. The Pix photo organizer takes its inspiration from gThumb. Like Xviewer, it hasn’t deviated much from its roots. If you prefer the more menu-driven design of it, you might prefer it, however. There is pretty much no difference at all between Xed and its parent project, the MATE text editor Pluma. On the bright side however, it doesn’t rely on having the MATE desktop installed to work, so if you like how Pluma looks, but want to use another desktop Need A Fresh Desktop Environment for Linux? Try Openbox Or xmonad Need A Fresh Desktop Environment for Linux? Try Openbox Or xmonad Read More , it’s a good choice. The X-Apps project acts as a nice alternative to using applications made for specific desktop environments. No matter which desktop you use, they are guaranteed to be there, well integrated, and without any extra baggage. If you find yourself hopping desktops, give them a try. Will you consider using X-Apps in the future? Do you think more desktop applications should follow suit, such as file managers and web browsers? Explore more about: Linux Mint, Ubuntu.